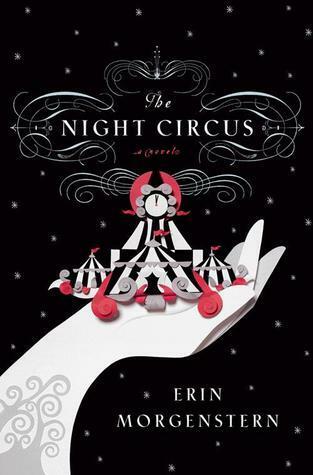 Jo's Library: "The Night Circus" by Erin Morgenstern. 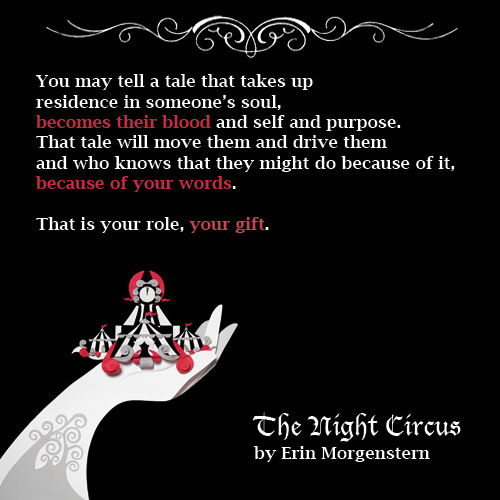 "The Night Circus" by Erin Morgenstern. The circus arrives without warning. No announcements precede it. It is simply there, when yesterday it was not. Within the black-and-white striped canvas tents is an utterly unique experience full of breathtaking amazements. It is called Le Cirque des Rêves, and it is only open at night. 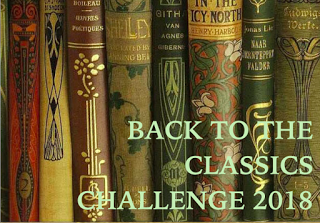 But behind the scenes, a fierce competition is underway - a duel between two young magicians, Celia and Marco, who have been trained since childhood expressly for this purpose by their mercurial instructors. Unbeknownst to them, this is a game in which only one can be left standing, and the circus is but the stage for a remarkable battle of imagination and will. Despite themselves, however, Celia and Marco tumble headfirst into love - a deep, magical love that makes the lights flicker and the room grow warm whenever they so much as brush hands. This book is oneiric. Dreamy. It's a feast for the imagination. It's one of those books that haunt you after you finish the last page, because its magic gets stuck in your soul, in your thoughts, in your memory. It's a book that does what every good book does - creates a world you want to sink into. World of black and white tents, red ribbons, stardust, tales, wishes, dreams, secrets, love and caramel apples. It's written in rich and enticing prose. I love the fact that the Circus is a background for a few stories told from the perspective of a few characters. Their fates are connected together, and the Circus is an arena where their stories reach the zenith. In brief, this book is pure magic. And my new favourite. “I would have written you, myself, if I could put down in words everything I want to say to you. A sea of ink would not be enough." “There is so much that glows in the circus, from flames to lanterns to stars. I have heard the expression “trick of the light” applied to sights within Le Cirque des Reves so frequently that I sometimes suspect the entirety of the circus is itself a complex illusion of illumination." You totally convinced me to read this book ! Totally agree! This is one of my favorites too. I'd love to find the time to reread it. The premise of The Night Circus totally reminds me of Something Wicked This Way Comes. Sounds yummy! I still haven't read this, but I'd like to! And wow, this line: "World of black and white tents, red ribbons, stardust, tales, wishes, dreams, secrets, love and caramel apples." That sounds amazing! And I love rich prose. I def need to get to this one! Wonderful review, Jo! I haven't read this one yet but have heard so many people refer to it as their favorite book. 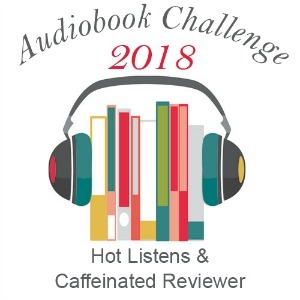 I listened to the audio version of The Night Circus and was so enchanted. Such a beautiful story! I want to go back and read the print version now.